$2,019,002. That's the current prize pool for 2013's Dota 2 International tournament, which will be held this August in Seattle. It's a massive payout—the biggest single-event prize pool in the history of competitive gaming—and it's only possible because of crowdfunding. See, Valve is selling Interactive Compendiums for their big event; for $10 you get an interactive guide to the tournament, which Valve calls "the next best thing to being there," and $2.50 of your contribution goes to the prize pool. Dota 2, a multiplayer online battle arena game in which players pick heroes and fight in 5-on-5 team skirmishes for control of large battlefields, has become massively popular over the past two years—and it's not even out of beta yet. 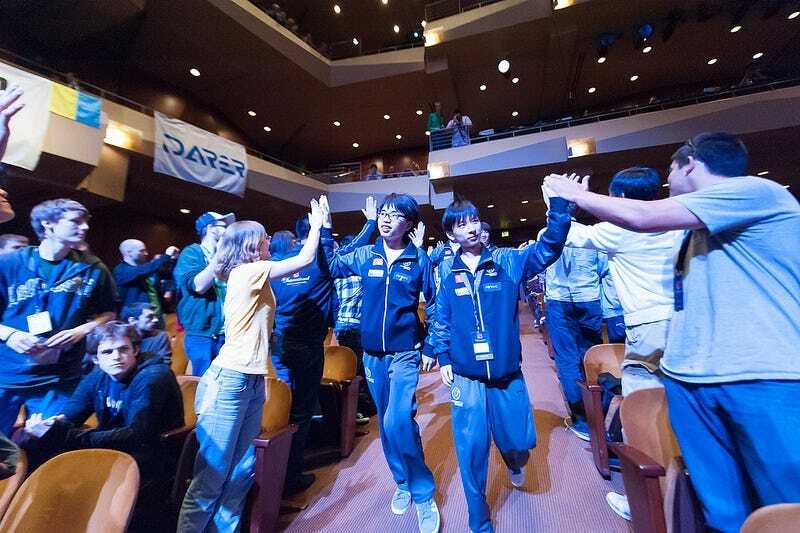 For more on the Dota 2 International, check out our coverage of last year's event.